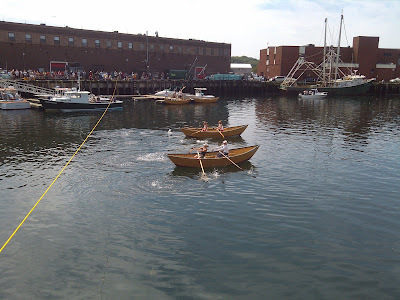 With each passing generation, the special relationship between Gloucester, MA and Lunenburg, Nova Scotia grows stronger. The two fishing communities are forever closely linked together. 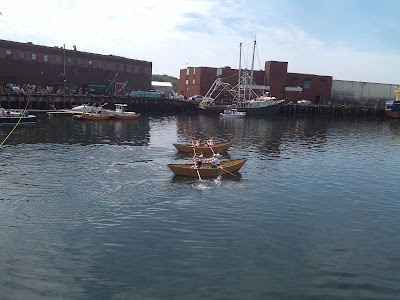 If given the opportunity, a simple exploration of the Lunenburg Fisheries Museum of the Atlantic will reveal many of Gloucester’s family names, history of the two communities, and the relationship that has been fostered between the municipalities. 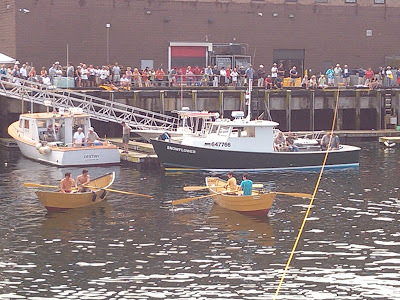 Both Gloucester and Lunenburg have provided some of the finest fishermen the world has ever known, so in 1951 and in the spirit of friendly competition, the two fishing hubs started what is now known as the International Dory Races to test each other’s maritime skills. 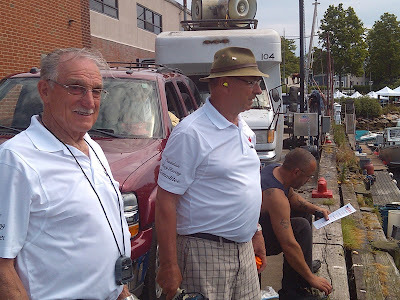 The tradition still lives on today, enjoying its 60th anniversary of the races. On Saturday, June 23 Lunenburg rowers raced against Gloucester’s champions at the State Fish Pier in Gloucester. It was an exciting day of camaraderie and competition that featured races including men, women, mixed doubles, juniors, and masters (over 40). Once the races were completed and the winners confirmed, there was an awards banquet to congratulate all of this year’s competitors. 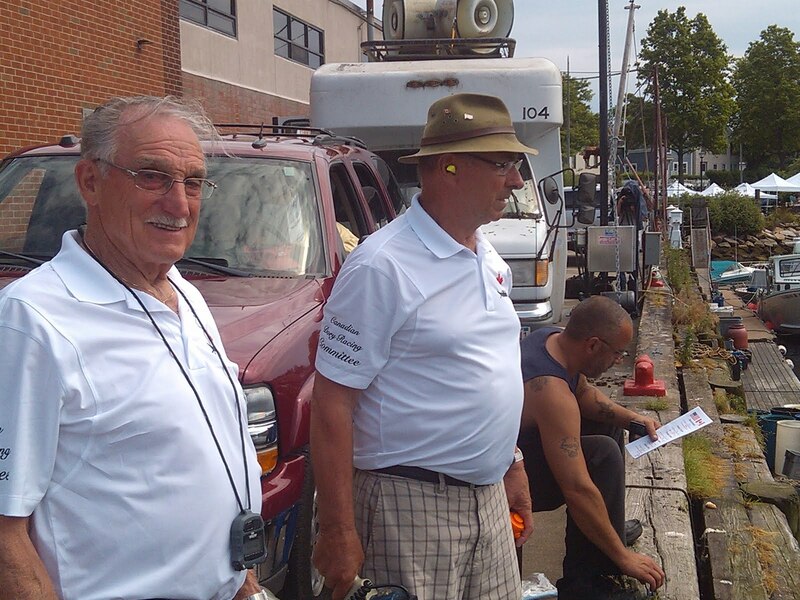 Every year the entire team at the International Dory Race Committee does an exceptional job coordinating this event. 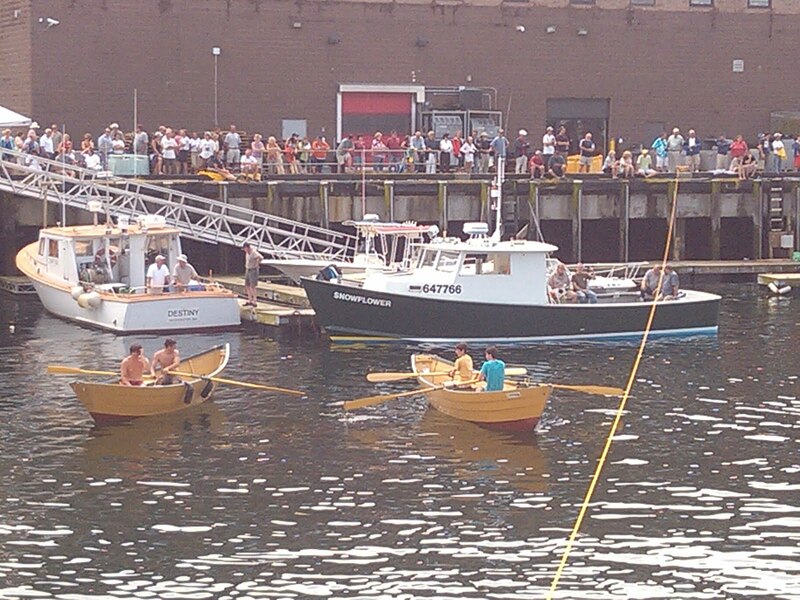 If you would like to learn more about the International Dory Races please click here. 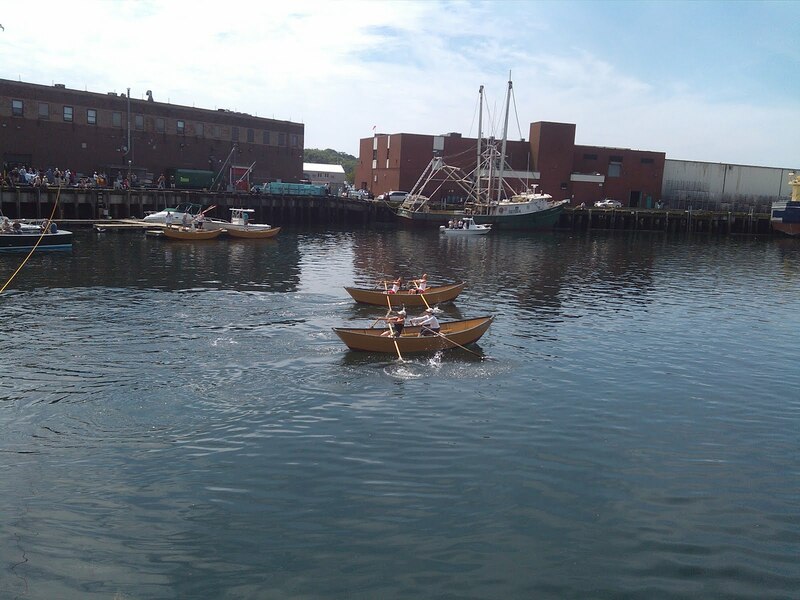 The next leg of the competition will be held on Saturday, August 25th, where Gloucester’s competitors will travel to Lunenburg, Nova Scotia to compete in the International Championships. I hope to see you there!